RiverView Molds	 MUG 3 4" T 3 lbs. RiverView Molds	 STACKING ASHTRAY 6 4 1/4" L 4 lbs. 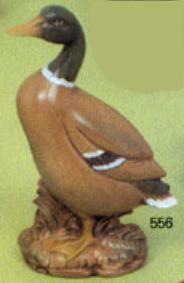 RiverView Molds	 BUD VASE 20 7 1/2" T 5lbs. RiverView Molds	 MASONIC MUG 3 4" T 3lbs. RiverView Molds	 PLAIN MUG 3 4" T 3 lbs. 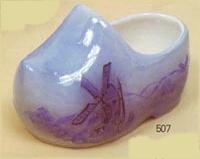 RiverView Molds	 DUTCH SHOE 17 5" L 2 lbs. RiverView Molds	 TYPEWRITER ASHTRAY 6 5 1/2" sq. 3 lbs. RiverView Molds	 VASE 20 7 1/2" T 4 lbs. RiverView Molds	 GOLF BAG 20 6" T 3 lbs. RiverView Molds	 GIRL PLAQUE 9 6" sq. 3 lbs. RiverView Molds	 BOY PLAQUE 9 6" sq. 3 lbs. RiverView Molds	 COASTER ASHTRAY 3 6 1/2" L 2 lbs. 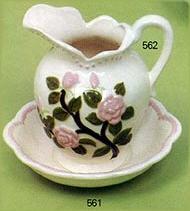 RiverView Molds	 CUP 8 oz. 3 3 1/2" T 3 lbs. RiverView Molds	 STACKING CUP 8 oz. 3 3" T 3 lbs. RiverView Molds	 DOLL HEAD ARMS LEGS 19 3" T 3 lbs. RiverView Molds	 HAND TRAY 9 6 1/2 L 4 lbs. 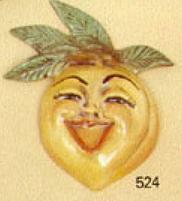 RiverView Molds	 PEACH PLAQUE 9 5" T 2 lbs. 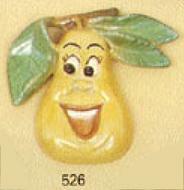 RiverView Molds	 MRS. PEAR PLAQUE 9 5 1/2" T 2 lbs. 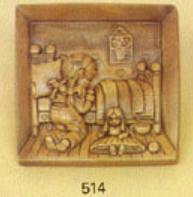 RiverView Molds	 MR. PEAR PLAQUE 9 4 1/2" T 2lbs. RiverView Molds	 ORANGE PLAQUE 9 3 1/2" T 2 lbs. RiverView Molds	 PINEAPPLE PLAQUE 9 5 1/2" T 2 lbs. 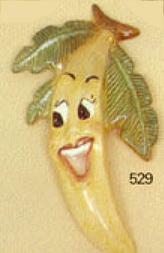 RiverView Molds	 BANANA PLAQUE 9 6 1/2" T 2 lbs. 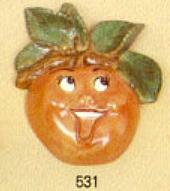 RiverView Molds	 GRAPE PLAQUE 9 6" T 3 lbs. 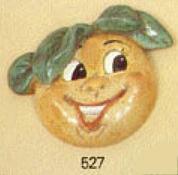 RiverView Molds	 APPLE PLAQUE 9 5" T 2 lbs. RiverView Molds	 DOLL HEAD ARMS LEGS 19 3" T 4 lbs. RiverView Molds	 DOLL HEAD ARMS LEGS 19 3" T 5 lbs. RiverView Molds	 CUP 3 4" T 3 lbs. RiverView Molds	 FIELDERS MITT 6 4 1/2" dia 3 lbs. RiverView Molds	 CATCHERS MITT 6 4 1/2"dia 3lbs. RiverView Molds	 PICTURE FRAME 17 4 3/4 x 4" 4 lbs. RiverView Molds	 TRIANGLE ASHTRAY 6 6"dia 6 lbs. RiverView Molds	 TURTLE 6 5" L 3 lbs. RiverView Molds	 SAFETY ASHTRAY 6 8 x 5" 8 lbs. RiverView Molds	 SAFTY ASHTRAY 6 8 x 6" 6 lbs. RiverView Molds	 POTATO ASHTRAY 6 6" L 3 lbs. RiverView Molds	 CRACKER DOG 3 10" L 7 lbs. RiverView Molds	 CHILI CUP 3 5" dia. 5 lbs. RiverView Molds	 DOLL HEAD ARMS LEGS 19 3 1/2" L 5 lbs. RiverView Molds	 DOLL HEAD ARMS LEGS 19 3 1/2" L 4 lbs. RiverView Molds	 STEIN 18 5 1/2" T 4 lbs. 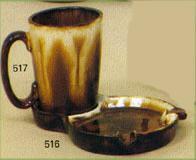 RiverView Molds	 MUG 3 4 1/2" T 3 lbs. RiverView Molds	 OWL 7 4 1/2" T 4 lbs. 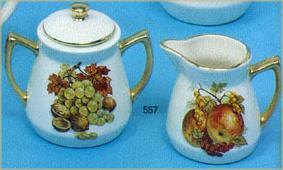 RiverView Molds	 CREAMER / SUGAR BOWL 5 3 1/2" T 5 lbs. RiverView Molds	 PITCHER 5 8" T 7 lbs. RiverView Molds	 SPOON REST 9 6 1/2" L 3 lbs. 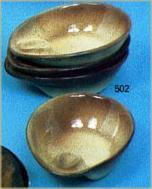 RiverView Molds	 BOWL 16 6 1/4" dia. 6 lbs. 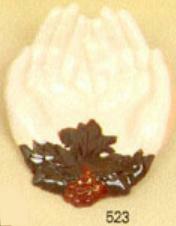 It is possible that more pictures of these molds may be found on the Riverview Molds website.